Trading is performed using pending orders on important price levels, that are detected by advanced adaptive algorithm A.P.L.D. The algorithm allows to detect dynamic levels of support and resistance, that gives the opportunity to respond quickly to changes of market conditions. The A.P.L.D. algorithm provides 3 strategies of important price levels detection. Adaptive TrailingStop for accounts with floating spread. The minimum recommended deposit - $100. 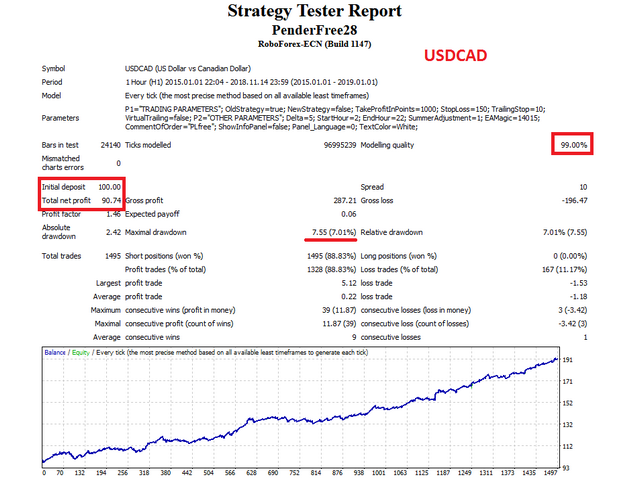 Trading on EURUSD, USDJPY, USDCAD or on any currency pair with small spread is recommended. Strategy - choosing one of three strategies. AutoStopLoss - can be set to true or false. 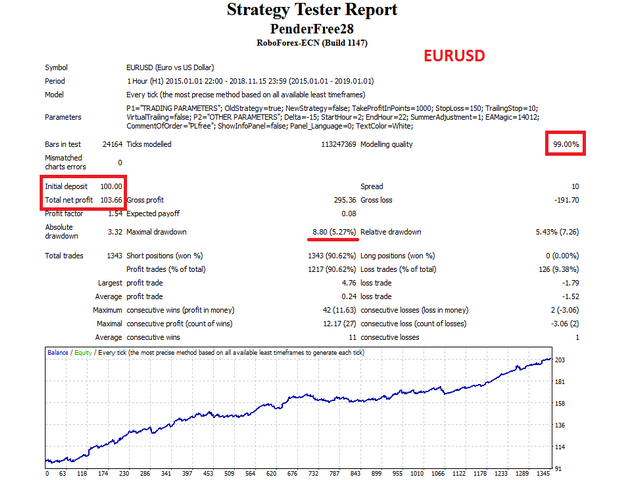 If true, the EA detects StopLoss level automatically. OpenMode - can be set to true or false. If true, pending orders will be set only on the beginning of new bar. StartHour - time to start trading. EndHour - time to stop trading. All current pending orders will be deleted. SummerAdjustment - adjustment for daylight saving time. EAMagic - magic number of the EA, which allows it to distinguish its orders. Must have different values for every chart. By default, the StartHour and EndHour parameters are set for the winter terminal time zone GMT+2. If necessary, set these parameters according to the time zone of your terminal. Thanks for share I going to try , please do not buy Eas for more than 100 dollars, the market is changing and the EAs that worked before will not work in the future, that is seen in the EAs that sell on the MARKET at high price very frequently produce loss in a long time , and recover an EA that costs much more than that value, it can be very difficult, unless you have a lot of capital and you can recover it in a month because in about 6 months any EA will produce losses due to market changes and the investment will be lost . Не плохой советник, но 50$ маловато, риск высоковат. It's a nice EA, with a low DD and a consistent result, but comission consumes almost all the profit (paid version seems to be better). Between 2015 and 2018, max DD was 6% for 0.01 lot and results in backtest seems to be similar to a real account. But full version is better of course. esse ea ainda estar funcionando? 1. Strategy3 was upgraded to the level of paid version. Parameter OpenMode was added. If it equals to "true", pending orders will be set only on the beginning of new bar. New parameter CommissionFor1Lot was added for comfortable tests in different market conditions. 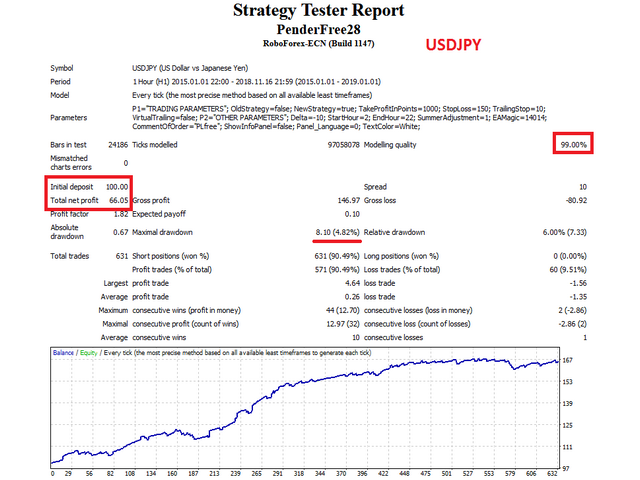 New parameter AutoStopLoss was added. 1. Code was optimized for new versions of MT4. Opportunity to use old strategy and new strategy of price levels detection together was added. Strategy of price levels detection was updated. Adaptivity to floating spread was added. 1. "Dangerous" strategies were removed. 2. Default parameters were changed.